Our blades catalogue is now available to download, featuring our full range of blades that are both compatible with our power tools or to use with your own power tools. These blades include fittings for Stryker, Linvatec, Microaire, A/O Synthes, De Soutter, and Aesculap. Click the image below to view the blades and accessories brochure and to download a copy. The downloaded brochures are password protected. 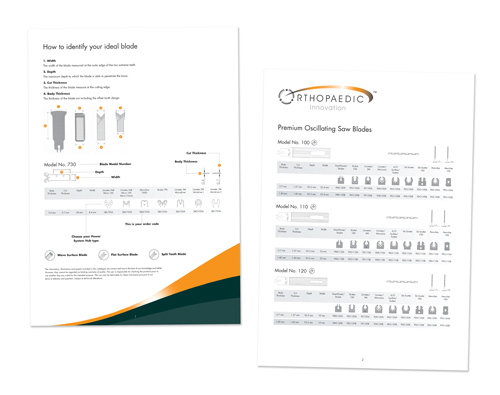 To obtain a password for any of the brochures please e-mail robert@orthopaedicinnovation.com or call our office on +44 1909 550869. Orthopaedic Innovation Ltd and Medsmart Solutions Ltd are not affiliated with any of the above.